Curtis from Fishwestcoast Sportfishing Charters reports some good salmon and halibut fishing around Sooke this week. 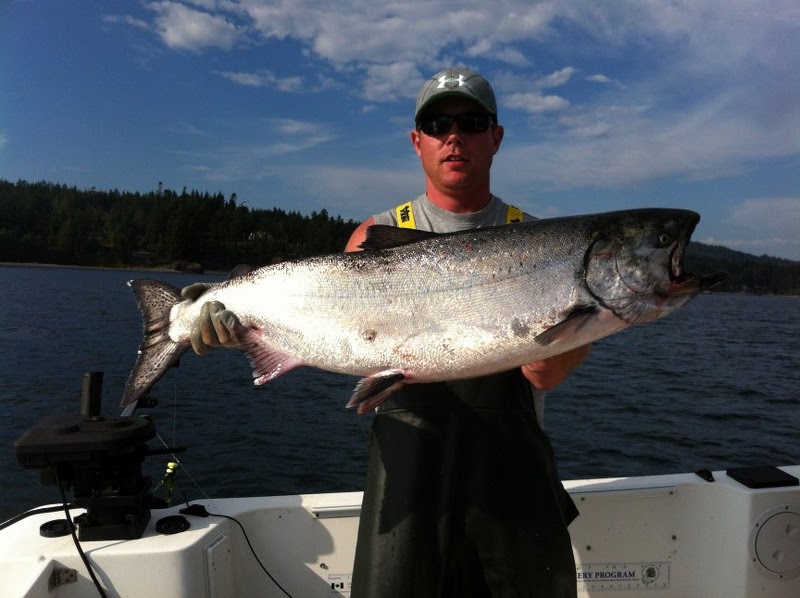 Salmon fishing is heating up with many springs in the mid 20's caught, and a few "slabs" too. 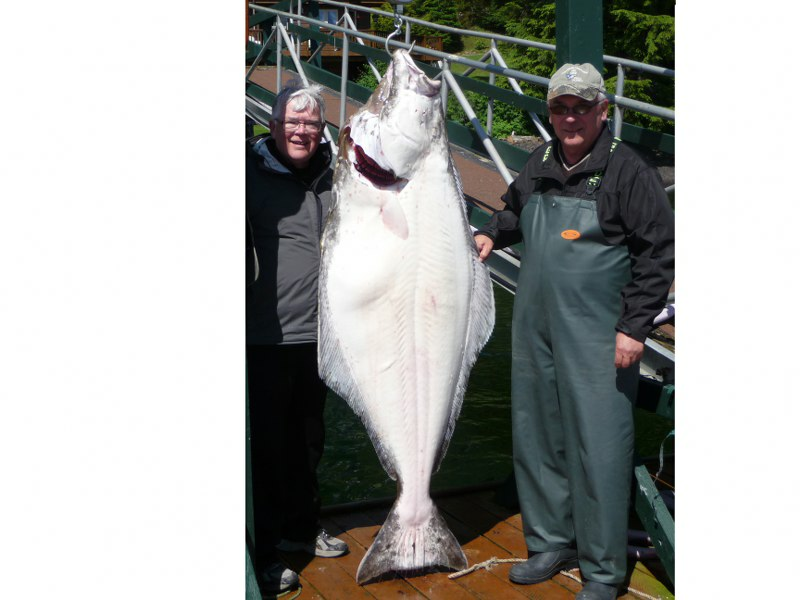 For halibut, Dale from Edmonton caught his biggest Halibut ever, on a "Sooke Sandwich" in 150 ft of water west of Sooke.